Bowflex, famous for their innovative home gym equipment have joined the activity tracker bandwagon by launching the Bowflex Boost braclet. Joining a market that includes the Nike Fuelband and Fitbit, the Boost will have its work cut out to get any real exposure. So what does this device deliver? The first thing to note about the Boost is its price. Coming in at $49.99, its an activity tracker that UK consumers can pick up for a mere £32. We’re therefore looking at a device which costs a third of the market leading Fuelband, yet comes laden with the same sort of tools and features. The activity tracker space is full of competition and in truth most devices lack true differentiation. Essentially pedometers with a fancy wristband and some additional reporting, its increasingly looking like the manufacturers have run dry on ideas to incorporate into these devices. Whether this is the case or not, its increasingly apparent that the manufacturers are set to do battle on price point alone with Christmas fast approaching. Naturally its attractive to save a few quid on an activity tracker, but only if the features stack up. So lets dive a little deeper on the Bowflex offering. The Bowflex Boost is the combination of hardware (the activity tracker band) and a companion app. The app is available across iOS , and works on any iPhone newer than the iPhone 4. It also works across the second and third generation iPad’s and the iPad mini. At the moment the Boost app is not available to Android users, and if you fall into this band, there is little point purchasing this device until this changes. We will keep you updated about the android launch of the Boost app. What are the basic Boost features? A significant battery life: Bowflex claim 11 days from a USB charge. Our early indications are that the device will probably last in the 8 day ball park figure, but this is ample enough. Insights: The Boost in combination with the Boost companion app provides a wealth of data. This data is instantly personalised and turned into actionable insight, which you can use to quickly get fitter and more active. These insights are no more compressive than say the Fuelband, but they are directly in line with what others are offering. You’re therefore getting very similar data at a much lower cost. Sleep monitoring: We have never been convinced by the sleep monitoring aspect of these devices, but we love the data nevertheless. The Boost includes sleep monitoring, which again is a higher spec feature that most cheaper activity trackers don’t include, so getting this in a £32 device is impressive. 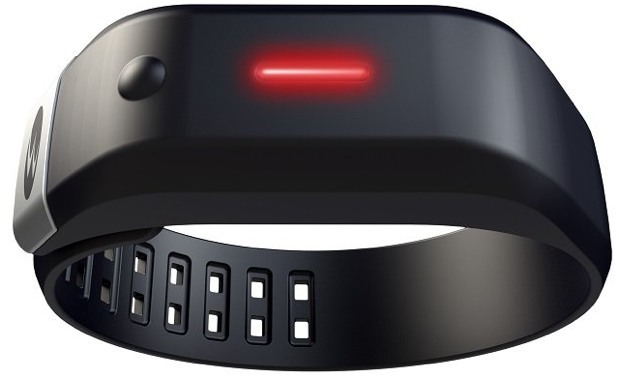 The Boost looks very similar to the Nike Fuelband, with a similar high tech black finish with bright LED display. The device features a standalone display, which allows you to gather the vital stats of your days activity thus far through the device itself, without needing the companion app. You simply input your days activity goal and the device will countdown visually towards that target. The premise of the app is thus to encourage you to set ever more challenging goals and to then be measured in your execution around these goals. Its a simple and effective interface, and the app is nice and easy to use. Whilst the data collected is nothing special in this market, it does include all of the activity tracker ‘must haves’. Millions of people lie in testament to the effectiveness of the activity tracker tech, and there’s no reason why the Bowflex won’t help many more. One of the best features of activity trackers like the Fitbit is their deep integration with apps like MapMyRun. Millions of people already use these apps to track their progress in terms of routes taken, times taken and other activity related performance. Adding the data collected by these sorts of apps to an activity tracker is a great combo, and really adds value when the dots are joined. Bowflex have chose (so far at least) not to integrate any third parties besides Facebook and Twitter. This is an oversight that we hope they fix, as its the final ingredient in this offering. The final drawback is the devices lack of support for Android users. We expect an Android app to launch in the very near future though and will keep you posted. In conclusion, the Bowflex Boost looks set to be a very capable challenger in a crowded market. It is significantly cheaper than other devices, with the nearest competitor costing nearer £80. It has all of the core features of the more expensive devices, so we can’t see any reason why this will not sell very well indeed. Read: How are activity trackers different to pedometers?